Next to back pain one of the most prevalent problems that patients suffer from is what many refer to as sciatica or leg pain. 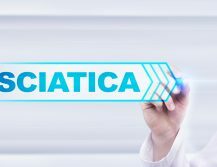 Sciatica is a problem that usually results from a compressed nerve in the lumbar (lower) spine. This pain can present in a number of ways. Sometimes patients experience a shooting pain that is like a lighting bolt going down the leg. Other times the pain is an ache, or the legs feel heavy. In severe cases the muscles in the leg sometimes don’t work properly and patients have weakness. What causes this pain or weakness? This compression can occur from multiple areas, one of the most common areas that we find is a herniated disc. 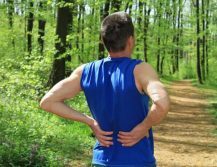 A herniated disc occurs when a lumbar disc develops a tear and either a piece from that disc or a bulge from that disc protrudes out and presses on a nerve. When that nerve becomes compressed it becomes inflamed and subsequently sends pain signals to the brain. These pain signals are received and interpreted as leg pain or buttock pain by the patient. In addition when a nerve is squeezed it does not work properly, and the muscle that the nerve sends signals to does not work properly and muscle weakness develops. Sometimes patients het bone spurs or thickened ligaments in their spine, and the compression can occur at many levels. These patients typically complain that their legs feel heavy, and they can only walk short periods of time before they have to sit down. The best thing about leg pain or sciatica is that most times its self limited meaning that it goes away by itself. Over 90% of patients who develop leg pain from a compressed nerve generally have their symptoms resolve with little or no intervention at all. Sometimes gentle stretching or anti-inflammatory medications can go a long way in helping alleviate that pain. A good rule of thumb is if that pain lasts greater than six weeks or the pain causes weakness in that leg a further evaluation is necessary. 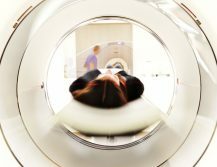 Often times we will order an MRI which will show us which disc is the problem or if there is a bone spur pressing on a nerve that is causing that nerve to be irritated. 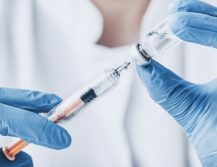 Physical therapy or a simple steroid injection can sometimes make those symptoms go away. Steroids medications are used that can be taken by mouth and these can sometimes make the symptoms go away. Of the patients that we see in our office well over 90% get better with simple physical therapy or steroid injections and medication. A very small minority continue on to have symptoms after conservative treatment is utilized. The best news for these patients is that today minimally invasive microscopic surgery is available to help alleviate all their back and leg pain. These patients that have to undergo these procedures generally have a surgery that lasts well under an hour and they are walking that very same day. These symptoms are usually resolved within 24 hours and people are able to go back to their normal life within a matter of days. 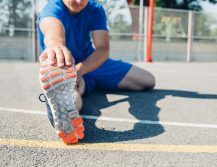 If you or someone you know thinks you might benefit from treatment for leg pain, we invite you for a consultation with one of the doctors at the Spine Works Institute. Contact us today for an appointment!